Chanel and I have fallen out recently. “Why?” I hear you ask. Well it’s simple, the venerable house has failed to live up to expectations of late with recent releases such as last year’s Coco Noir (a perfume so yawn-worthy I couldn’t even be bothered to review it) being well-made but painfully safe, proving that this once innovative house prefers to go for the big bucks rather than the big wow. Still, we have the wonderful boutique-exclusive ‘Les Exclusifs de Chanel’ line to rely on for our wows, right? Not always, 2011’s Jersey was a serious lavender miss-step that proved that there is such a thing as a granny perfume, and an angry one at that. You may be thinking – “So what, Chanel always produces quality” – and you’d be right but lest we not forget that this is the house that broke ground with N°5 in 1921 with a perfume deliberately designed to smell manufactured and put-together like a piece of couture – with Chanel one not only expects quality but also innovation. I am, of course a blip that probably isn’t on Chanel’s radar and it will surprise no-one that my dissatisfaction hasn’t stopped them with their schedule of releases (or releasing dreadful adverts staring Brad Pitt). 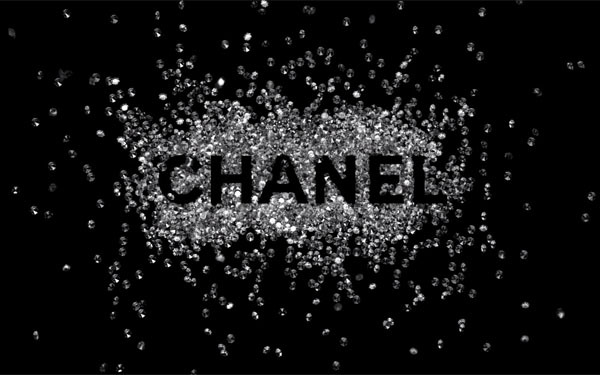 Their first release for 2012 is part of Les Exclusifs de Chanel and has been named after and created to honour the year the brand’s high jewellery line debuted – 1932. As you would expect from a fragrance that is – a) made by Chanel and b) inspired by diamonds – 1932 positively shimmers as it flashes from the bottle on to the skin. Luminous white light from aldehydes and lemon-tinged citrus add vivacity with a touch of something dark and almost bitter as if to capture the cold, hard quality that makes diamonds so attractive. 1932 is billed by Chanel as a jasmine perfume and it is to an extent but a good portion of the floral contingent comes from iris. Here the iris gives the impression of a finely milled powder displaying both violet and root facets but in a relatively clean and smooth manner (Iris Silver Mist this is not). The bitterness of the opening carries through into the heart and is slightly reminiscent of the green buds and stems showcased (albeit in a much more direct way) in Mona di Orio’s Tubéreuse. Vetiver makes a brief appearance towards the end of 1932’s development, it feels almost soapy amongst the musk in the base but a subtle dose of sandalwood and vanilla keeps this soapiness firmly in check, ensuring that the overall effect is a refined and smooth in line with the classic Chanel aesthetic that we all know and love. 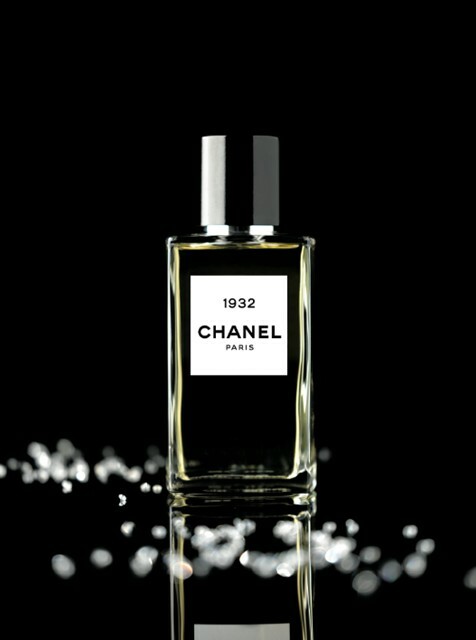 To say that 1932 is very ‘Chanel’ is an understatement, in fact it very much feels like a case of ‘Chanel by numbers’ – there’s the signature crackle of aldehydes up top, followed by white flowers and powder in the heart before finishing on a smooth base of sandalwood and musk – and if it weren’t so pretty I’d be annoyed at how safe it is. But pretty it is and 1932 is easily the nicest thing the house has come up with in a while, still I won’t find myself rushing out to buy it but if you’re in the mood for a Chanel that neatly merges the classic with the contemporary then I would most recommend a sniff. 1932 is available in Chanel boutiques and select department stores in 200ml and 75ml Eau de Toilette. Image 1 via perfumeshrine.com. Image 2 via kentonmagazine.com. Quotes via Chanel.com. Notes via Basenotes. Posted in Aldehydic, Chanel, Feminine, Floris, Perfume Reviews and tagged 1932, Aldehydic, Chanel, Floral, Jacques Polge, Les Exclusifs, Les Exclusifs de Chanel. Bookmark the permalink. I agree wholeheartedly! It’s lovely, but now a ‘wow.’ After the Coco Noir incident, I really wanted love love it. To me, it smells like a much weaker, more jasmine-y 31RC. Too bad, because 31RC is phenomenal! 1932 is indeed likeable, but yes, safe. Safe indeed! It’s one of those ‘if a bottle fell in my lap I wouldn’t complain’ scenarios for me. Great review and I completely agree with this point of view. I’ve never forgiven Chanel for the boring and unnecessary “Bleu”. Eugh, don’t remind me. The case of Bleu was only made worse by the fact that its tagline was “Be Extraordinary” – really Chanel, really?! Very nice review – as lover of both jasmine and iris (and vetiver, for that matter), it may be worth a sniff. Sycomore remains my true Les Exclusifs love. Why? Because it surprised me, and I’m rarely surprised by perfume. And, oh yeah, the vetiver. Love your blog! Thanks Josephine, I’m glad you love the blog! Perfume surprises are the best, no? I was really interested to read your take on this. I’ve yet to try it but suspect that “safe but pretty” sums it up exactly. I think people like us are looking for something a bit different but it sounds like this is well done and not will no doubt be popular with the “average” Chanel customer. This fell flat on my skin, like the back of artificial rhinestones instead of diamonds. However, that was from a dabber sample. I sniffed and sprayed it the other day from a bottle at a store and it sparkled beautifully. Nice. I agree with the “if a bottle fell in my lap…” verdict. That’s an interesting observation re dabbing vs spraying. I often find that spraying helps give a scent life. Of the Exclusifs,which do you recommend?ie which do you consider as breaking new ground? Hmmm, good question. My favourite is Nº22 but I wouldn’t say it breaks new ground, especially as it is an extension of Nº5.